The holiday season is upon us, and while it’s easy to get caught up in the all the fun holiday parties and family get-togethers, please make time to ensure that rail safety is top of mind. Operation Lifesaver wants you to make it safe and sound throughout your holiday adventures by ensuring you’re rail safety equipped. Think you know your rail safety? Do you know what the Advance Warning sign means? Do you know what to do when you hear an engine whistle? Do you know what to do if your vehicle stalls on the tracks? If you answered these questions with ease—awesome! But if you weren’t sure about even one of these questions, make some time to get yourself up to rail safety speed. Operation Lifesaver has got you and yours covered by providing a resource library that is chock-full of educational and engaging material that will prepare you to approach the next set of tracks or level crossing you encounter with confidence. While we are all enjoying time with our family and friends, the holidays also bear a stark reminder that not everyone will be able to celebrate with the ones they love. December 23rd is the anniversary of Nick Reed’s tragic death, changing the holidays forever for his family. Nick was struck and killed by a train 11 years ago. His father, Harvey Reed, shares his story, and we encourage you to read and share it with your family and friends. Wherever the holidays take you, please get to your destinations safely by making rail safety a top priority. 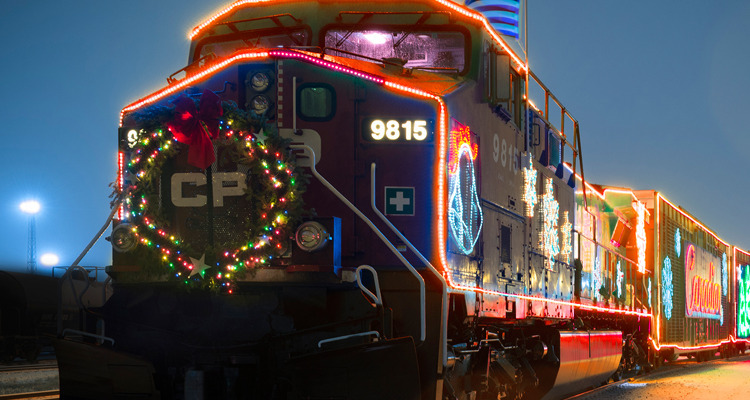 Have a happy, healthy and rail safe holiday season. Look, listen, live!